Seattle, Wash. – Matt O’Brien from The First Tee of Greater Seattle will compete at the 10th Nature Valley First Tee Open at Pebble Beach on Sept. 27-29. The official Champions Tour event will be televised internationally on Golf Channel. O’Brien, a junior at Seattle Preparatory School, will join 80 other young men and women from 54 First Tee chapters who were chosen to compete by a national panel of judges. Selection criteria included playing ability and comprehension of the life skills and character education learned through their involvement with The First Tee. Nearly 150 applicants ages 14 to 18 vied for the opportunity to play at Pebble Beach. O’Brien, 17, is in his sixth year of participation with the Seattle program. The Capitol Hill resident plays on the golf team at Seattle Prep and aspires to play at the collegiate level. He attributes his continued growth and passion for golf to his classes at The First Tee. O’Brien and the other junior golfers will be teamed with 81 Champions Tour players and 162 amateurs as they compete for the pro-junior title at Pebble Beach Golf Links and Del Monte Golf Course. 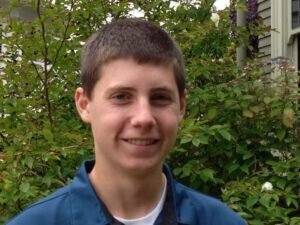 Evan Johnsen, program director at The First Tee of Greater Seattle, will accompany O’Brien to Pebble Beach and serve as his caddie. O’Brien is the seventh participant from the Seattle Chapter to play in the first Tee Open since it was introduced in 2004 as a way to showcase The First Tee and its global mission to impact the lives of young people through golf’s life-enhancing value. He is the only junior golfer from Washington to play in the 2013 event. The First Tee Open is hosted by the Monterey Peninsula Foundation. Clint Eastwood is chairman of the event and Arnold Palmer, a trustee of The First Tee, is honorary co-chair. The First Tee is a 501(c)(3) nonprofit youth development organization whose mission is to impact the lives of young people by providing educational programs that build character, instill life-enhancing values and promote healthy choices through the game of golf. Based in St. Augustine, Fla., the First Tee reaches young people on golf courses, in elementary schools, at other youth-serving locations and on military installations. Since its inception in 1997, The First Tee has introduced the game of golf and its values to more than 7.6 million young people in all 50 United States and four international locations. Its Founding Partners are LPGA, the Masters Tournament, PGA of America, PGA TOUR and the USGA. Shell Oil Company is The First Tee’s Founding Corporate Partner and Johnson & Johnson is its Legacy Partner. Former President George W. Bush serves as honorary chair. The First Tee of Greater Seattle is one of 188 chapters around the country and in select international locations. Since inception is 2003 as the 106th chapter, it chapter has served more than 7,400 young people through research-proven programs at King County golf courses. It currently serves an estimated 1,400 youngsters at four golf facilities. Additionally, 50,000-plus students are served annually through The First Tee National School Program at more than 100 Seattle, Auburn, Issaquah and Kent public and parochial elementary schools.